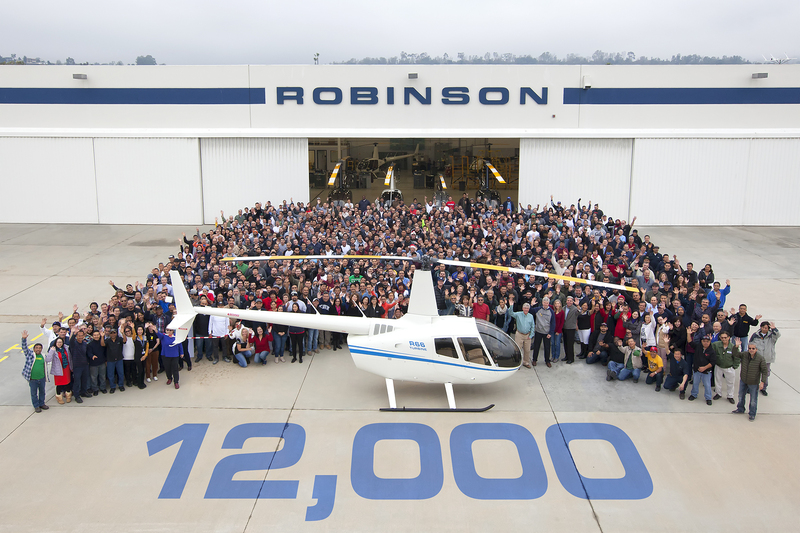 Torrance, CA— On December 23, 2016 R66 S/N 0763 became the 12,000th helicopter to roll off Robinson Helicopter’s production line. “A nice way to end the year,” said Robinson President, Kurt Robinson. S/N 0763 will be delivered to Hover Dynamics, one of three long-time Robinson dealers in South Africa. The helicopter was purchased by a new charter and tour operator, Fly Karoo Air Services, operating in the area of Graaff-Reinet. According to Dean Feldman of Hover Dynamics, Fly Karoo chose the R66 because of its powerful turbine engine, quieter cabin, spacious baggage compartment, and low operating costs. Robinson’s first two-place R22 was produced and delivered in 1979, the first four-place R44 in 1993 and the first five-place R66 in 2010. Robinson also offers a multitude of variants including the recently introduced R44 Cadet, a two-place helicopter specially configured for training.